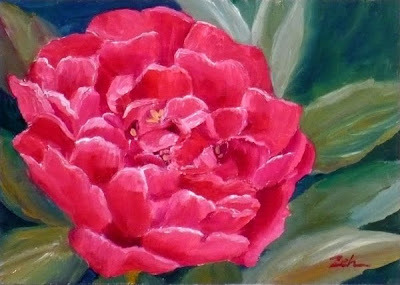 This version of my favorite pink peony flower is done on Ampersand panel. I had some kicking around and decided to try an oil on smooth panel as I've always painted on canvas or canvas board. How is it? Great! I love how bright the colors are.